The struggle at the Narva bridgehead was typical for combat on the Eastern Front of World War II. German, Dutch, Danish, Norwegian, Swedish, Estonian, and even Russian, volunteers had enlisted in the German forces to fight against what they perceived to be the looming Communist threat from the east. 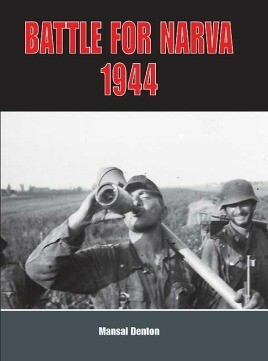 Whereas other German units in 1944 had failed to hold their ground in Russia, Heeresgruppe Nord still clung tenaciously to one of the last occupied positions near Soviet territory; the Estonian city of Narva. That toehold was what these volunteers would fight so dearly for in arduous winter conditions, hugely outnumbered by their opponents. Massing on the other side were Soviet troops with vengeance in their hearts. Having endured months of near starvation at Leningrad and Oranienbaum, those soldiers would finally get their chance to fight the enemy who had earlier invaded their homeland. The city itself would be fought over for months in relentless battles, often erupting into savage close-quarter combat and frequently leading to thousands of casualties. This publication takes a more unusual approach in portraying the battles of 1944 by incorporating large amounts of photographic evidence. The photographs and their captions offer uncommon insight into the life of the average combatant under German command wanting nothing more than to survive another day. In some cases the photos dating back to 1944 are actually contrasted with the same location as seen today. That photographic evidence is effectively supported by accurate historical and archival research, including geographic data, allowing the reader to more fully understand the context of the battle and events in 1944.